According to a recent study authored by Bryan Swistock, an Extension Water Resources Specialist in the College of Agricultural Sciences at Penn State University, cows living on dairy farms with better water quality had, on average, better daily milk yields than cows living on dairy farms that had more water quality problems. In the Fall of 2012 researchers at Penn State Extension analyzed 174 water samples for 13 water quality parameters. Bryan also noted that most dairy farmers tended to test for several important water quality parameters (i.e bacteria) on a normal basis but often times the water testing stopped there rather than also including other parameters like salts, metals, etc. If water quality affects the quantity of milk that cows produce, perhaps it also affects the quality of the milk they produce… and we drink? If the quality of the water cows consume affected the way their bodies functioned, why would we no think that water quality issues would affect humans, too? Cows actually produce milk for the benefit of their children, correct? So if water quality affects the quantity (and possibly the quality?) of milk produced by cows for their young, would it not also hold true that water quality issues could affect the quantity (and possibly the quality?) of milk produced by human mothers, as well? Bryan Swistock pointed out that many dairy farmers test for some water quality parameters, but not all of the ones he (and others) believe they ought to… just like we believe more people should test for more water quality characteristics than they do. At this time we would like to note that the majority of the dairy farms who participated in the study drew their feed water from private wells and as we all know, the responsibility for the quality of the water coming from those wells falls squarely on the shoulders of the well owners. 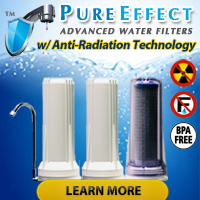 We’ve said it before and we’ll say it, again: Water experts suggest at the very least that owners of private water wells have their water tested for critical water quality parameters like coliform bacteria and metals like lead and arsenic at least once a year. Additional testing for other potential water well contaminants highly suggested — especially by folks like us who definitely enjoy a nice, tall and safe glass of milk on a regular basis! 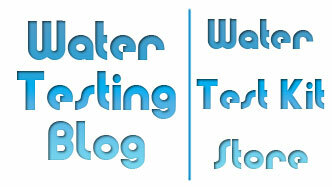 « How Long Does Water Testing Take?